What should you put on your pizza? What should you wear today? Ask Mr Combo, and mix things up a little! Create as many combinations of things as you like. Each combination has groups of items. You can put as many items as you like in a group, and as many groups as you like into a combination. 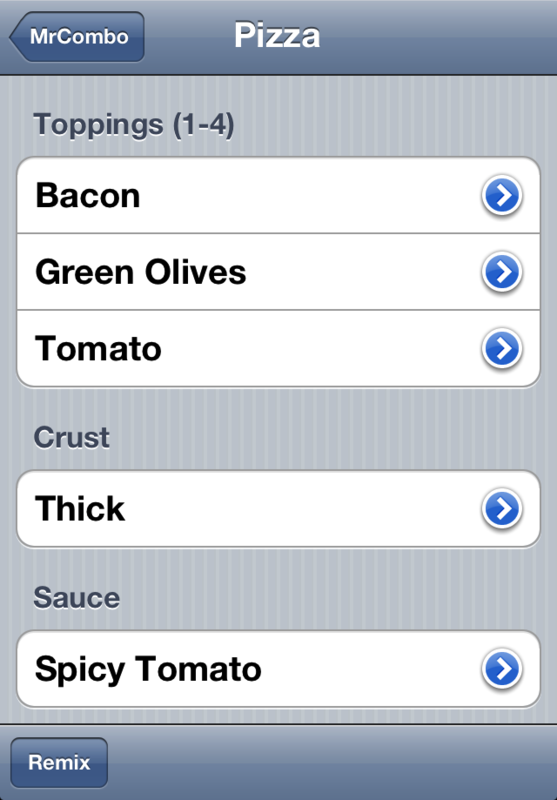 For example, the built-in combination for pizza has groups for crust, sauce, and toppings. You can set up a group to pick more that one item, too. Select a combination and tap the button to mix it up. If you don't like the combination, tap the remix button. To create your own combinations or modify the built-in combos, use the edit button. 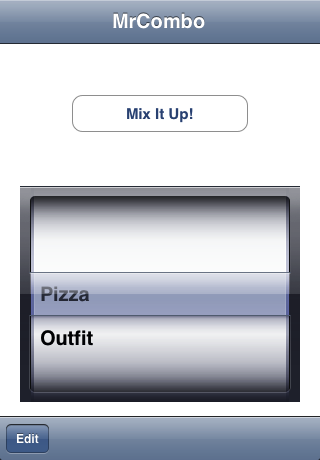 You can create groups, like "toppings" for pizza, and add items to the group. 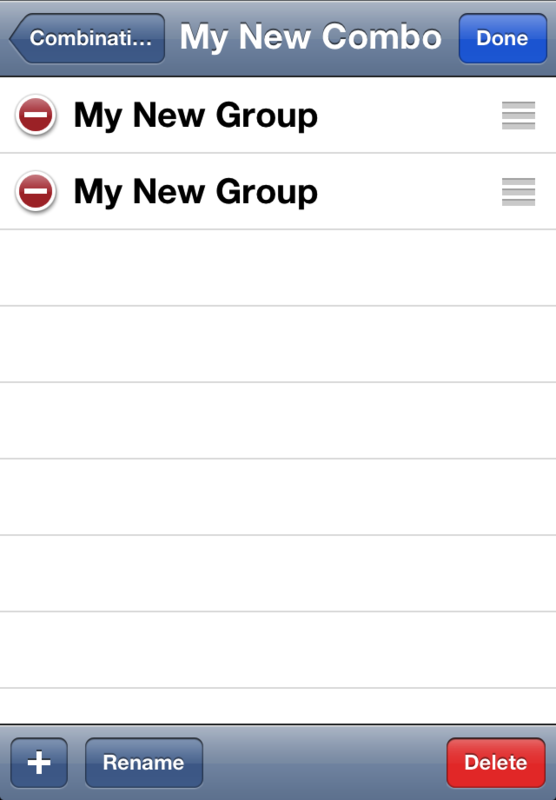 Use the rename button to rename your combination, group, or item. You can also set minimum and maximum values on a group. Compatible with iPhone, iPod touch, and iPad. MrCombo requires iOS 5.0 or later. Please report problems by commenting here. If you have trouble doing that, please use the App Store "Report a Problem" button to contact me.